View some of the KCY at LAW reviews and leave your own review or testimonial here. I've dealt with many law firms and individual lawyers over my 42 years in the financial services industry and as a retired CEO, and my experience with KCY these past few months has been the most positive. Kathy and her team are professional, efficient, communicative (which can be rare), and very sincere in their care for me as a client. I would highly recommend this team for any legal advice, strategy or ultimately, action. My negotiations were not going well so I made an appointment to get some advice from Kathy. Her staff were great, they managed to get me an appointment very quickly and they let my ex-employer know that she was representing me. She clearly explained what was required by law and I followed her advice to the letter. I was able to negotiate a fair settlement very quickly, which I believe was in part due to Kathy's tough reputation preceding her. Kathy and her team were excellent to work with! Absolutely professional and top notch service. From the very beginning, I felt like I was in exactly the right place for my employment legal matter. Kathy walked me through the ins and outs of employment law, and kept me apprised of all communications from my previous employer. The entire team at KCY at Law worked diligently on my case, performing regular follow up with opposing attorney to ensure a timely and satisfactory outcome. I could not have transitioned out of my previous employment without Kathy's help and guidance. I highly recommend Kathy and her team. Kathy and her staff are awesome. They took such great care of me. I would 100% use them again and I highly recommend them. I highly recommend Kathy after my initial call I am really excited to get started on my contracting. I have nothing but good things to say about Kathy and her staff. She sure knows the law and was able to help me out. She handled my case with professionalism throughout the entire process. 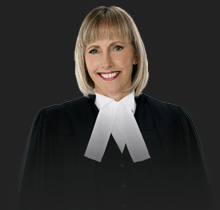 Kathy is meticulous, approachable, she reviewed the details of my case, educate me on employment law. I would recommend Kathy to anyone that needs legal advice or assistance regarding an employment matter. Thank you! Kathy Chittley-Young will fight for your case 100% hands down. Had a great experience over the last two years while her and her amazing team worked on my case. I would recommend Kathy's services 100%. KCY At Law was not able to help me in my particular situation but were very honest and helpful. The fact they followed up shows good business practice and professionalism. As well as receiving reviews on Google our clients have also e-mailed us lots of great feedback about their experiences with us and you can view some of them below.